The 52 Ancestors challenge for Week 2 2018 is ‘Favourite Photo’. Those of you who know me would not be surprised about which photo I chose for this weeks challenge. If you have been following my research you will known that one of my main brick walls is finding the father of my paternal grandmother Thelma Griffin, my great grandfather. Thelma always knew she was illegitimate, her birth certificate lists her father as ‘not known’. All we know is that he must have been in Adelaide, South Australia in about August 1903. This of course isn’t the favourite photo, but solving the mystery of who he might be is one of my primary DNA goals. I had my first DNA test in 2010, but it took nearly 7 years for me to be able to piece together enough match information to be able to come close to solving this mystery. I’ve tested everywhere. I’ve tested my mother everywhere. I’m very lucky to have been able to do that. After 7 years I’ve been able to find enough matches on my fathers paternal side to be able to be isolate matches that are probably on his mothers side. I had a breakthrough at AncestryDNA in early 2017 where I found several 4th cousins who all matched each other and didn’t match any of my other paternal matches, so it was a high chance they were matches on my ‘unknown’ line. As is the way, very few of these matches responded to me on AncestryDNA, but analysing one of the trees and seeing some South Australian ancestry enabled me to search for more possible matches. I searched my more ‘distant’ matches for similar names, at all my testing sites and this led me to identifying some possible common ancestors. I found several matches that all had one of two sets of possible 4th great grandparents in their trees. From there I worked forward in time trying to identify likely ‘males’ who may have been in ‘the right place, at the right time’. Then I worked back in time from my matches, making sure that all the matches still tracked back to these ancestors and that the DNA shared with them also seemed appropriate for the ‘probable’ relationship. This research suggested that my mystery great grandfather may have been Prussian, descended from early emigrants to South Australia. This could explain my high European West ethnicity, showing about 29% at AncestryDNA, when I can only account for about 3% from my known ancestry. Although this ancestor should only account for approx 12.5%! Ethnicity information at 23andMe is much more interesting, they suggest my predicted German ethnicity is quite close, between 1840 -1900 – so if my theory is right it’s spot on! I need to say a big thank you to the South Australian Family History Groups who wrote such wonderful histories of the Noll, Wedding and Wohling families back in the 1970’s and all the wonderful pedigrees and photos that they included. It was through these books that I was able to piece together many of the connections between my DNA matches and my possible shared Prussian ancestors. After extensive research I became fairly certain that I was descended from one of the sons of Johann Friedrich Wilhelm NOLL and Maria Elizabeth WOHLING. The ‘Noll Family History 1850 -1976’ actually provided me with photos of these three sons. This became my favourite photo for 2017. I carried it around everywhere with me, often producing it for informal discussions over dinner, taking straw polls and comparing facial features! What do you think? My great grandmother Edith (Edie) Griffin is stated as living in Croydon Adelaide in April 1904 when my grandmother Thelma was born. Edie was 17, occupation machinist. Interestingly, the youngest sister of the Noll brothers, Louisa Wilhelmina Noll, was exactly the same age as Edie and also worked as a machinist. Edith grew up in Brompton and the Nolls lived close by, so perhaps Edith and Louisa were friends. They probably went to school together and may have even worked in the same place. Croydon and Brompton are very close in proximity and may well be references to the same place. Heinrich Charles Otto NOLL – In 1903, Henry was married to Anne Frances Balfour (nee Richards). He was living in Brompton in 1902 at the time his son Alfred was born and had moved to Ridleyton by 1905. He became a minister in 1911 and died in 1938 aged 58. Friedrich Wilhelm NOLL – The eldest of the three brothers and in 1903 he was also married, to Anna Mabel Emery. He had three children by this time, but two had died as infants and his wife Annie was said to have never recovered, suffering poor health for the rest of her life. His fourth child was born in November 1903 so wife Annie would have been six months pregnant at the time Thelma was conceived. He lived in West Street Brompton after he married in 1897, but by the time his daughter was born in 1903 he was living in Bowden and by 1909 in Hindmarsh. He died in 1933, aged 57. Otto Eduard NOLL – The youngest of the Noll brothers and in 1903 he was 21 and single. Perhaps the most likely candidate, still living at home in Brompton. He married Laura Elizabeth NICHOLS in 1908 and died 20 years later in 1928, aged 45 – far too young. To test my theory I managed to find a grandson of Otto (Cousin A) and his DNA test confirmed that we were quite closely related. If Otto is my great grandfather then our relationship would be half 1st cousins once removed. If Fred or Henry were my great grandfather then my relationship to Cousin A would be 2nd cousin once removed. As luck would have it, after looking at the expected cMs for these relationships our match is somewhere between the two. Our shared DNA was between 164-210 cMs depending which testing site you looked at! We also have a large X match at 74cMs, which does suggests a relationship via Cousin A’s great grandmother Maria Wohling. Subsequently we both matched another descendant of Maria’s parents (Cousin B) which provided a triangulated match on the X chromosome suggesting the relationship to the Wohling line was confirmed. All three cousins match each other on identical segments. As far as chromosomes 1-22 go, Cousin A and I share on multiple segments many of which are not yet triangulated, but this is largely due to the fact that the 40+ matches we have at AncestryDNA have not uploaded their results to www.gedmatch.com, so they cannot be compared at the chromosome level. The sheer number of matches that all fit this hypothesis are strong evidence (I believe) that I am on the right track. 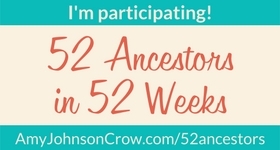 Of the matches at AncestryDNA only six have uploaded their results to GEDmatch. Triangulated matches have confirmed relationships to distant ancestors on both the Noll and Wohling sides, but more are needed. Are you descended from any of the ancestors listed below? Have you DNA tested? If so, I would love to be able to compare our results at GEDmatch. I am particularly interested in anyone descended from the three NOLL brothers and would be willing to fund autosomal DNA tests, on the understanding that results would be uploaded to GEDmatch. 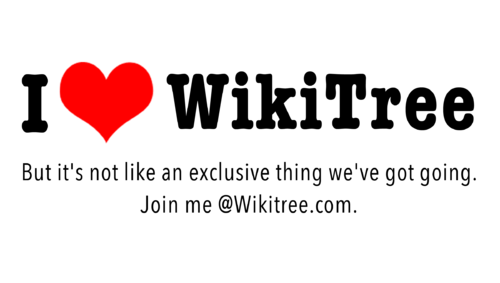 To access the tree at Wikitree, please click here. As always, if you can help please do not hesitate to contact me via this blog or via private message at Wikitree. Keep up the good work Veronica and thanks for sharing – I’m learning lots thru your exloration and documentation. I’m a Null/Noll and haven’t been able to break down my wall. Have had many cousins take test and still nothing. We are all on gedmatch also, no help. Nice to see I’m not the only one searching for Noll/Null lineage. Perhaps we can liaise some more, I would be happy to do some analysis with you. My GEDmatch ID is T350954 if you would like to contact me.